Today we have to say a HUGE thank you for such an amazing day! You see, we were invited to the launch day of the Middlesbrough FC Sensory Room! Setting off this morning, little did we think that our three boys would be welcomed with Boro tops with their names printed on them, and swiftly taken to the Generation Red family zone! Before the large crowds and noise came into the stadium……..
That was just the beginning! Again, while the ground was quiet, they had a little walk around the pitch before taking part in the flag parade! It was amazing! After meeting Sammy Seal and Roary Lion, the boys enjoyed settling into the sensory room to watch the match. The room is equipped with books, games, calming light shows, bean bags and fidget boxes to name but a few! The room is a fantastic transition area. 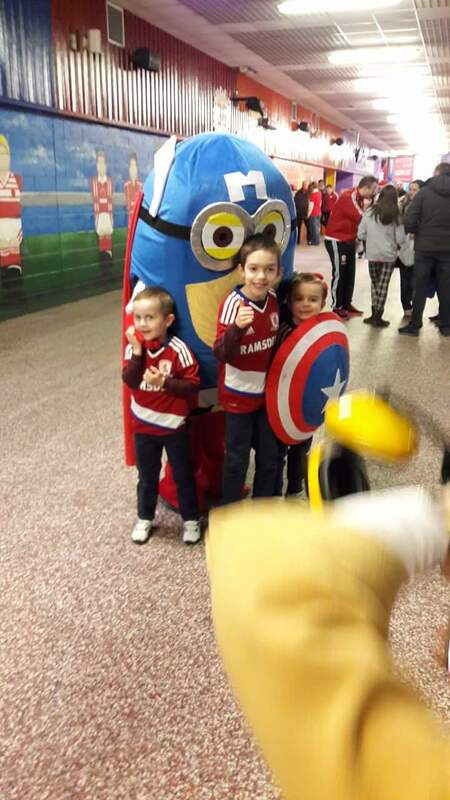 It allows families to be part of the match day experience and enjoy family time, regardless of age or interest. 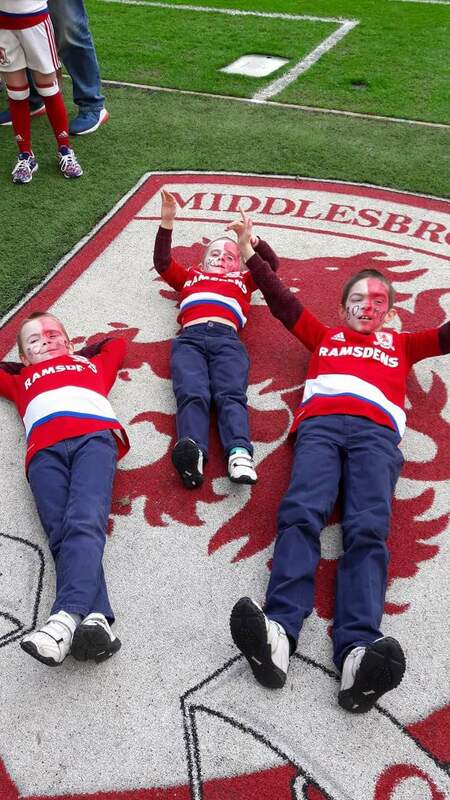 Middlesbrough FC are a family club through and through. From the first contact with them with regards to a sensory room, the enthusiasm was there. Staff understood the need for the facility and went beyond expectations to provide the facility. It shows that even when clubs don’t have a ‘viewing room’ they can still provide the facility… we have had that experience today and it will get one that will stay in our and our boys memories forever. A huge thank you goes to Yvonne Ferguson, Claire Streeter, Brian Robinson and Abigail Clarkson for the garden work that you have put into this and a whole lot of thanks to Middlesbrough FC for being the caring, family focused club that you are!